For the modern house the fridge is an essential part of daily life. We all know that it is plugged in 24 hours a day 365 days a year but we never look at the amount of electricity it uses or how we can help reduce this. In fact people rarely think it is possible to reduce the energy draw of their fridge or freezer. An open door allows the air in the fridge to warm up. For every 20 seconds the door is open could result in the fridge working for up to 45 mins to bring the temp back to normal. How many times have you gone to the fridge for a look at what you “might” want, even though you already knew what was in there. If we thought about what we wanted from the fridge before opening it, some time with an open door and a blank stare could be reduced and therefore money saved. If you cook meals and freeze them, it is best to defrost them overnight in the fridge. The item will more slowly defrost than if it were on the kitchen counter but it will also help to keep the temperature in the fridge down. Handy but also true. Before putting cooked food into the fridge or freezer for later use, allow it to cool as much as possible before placing into the fridge /freezer. This will greatly reduce the electricity used to cool the food to the temperature inside the unit. Keep stock. 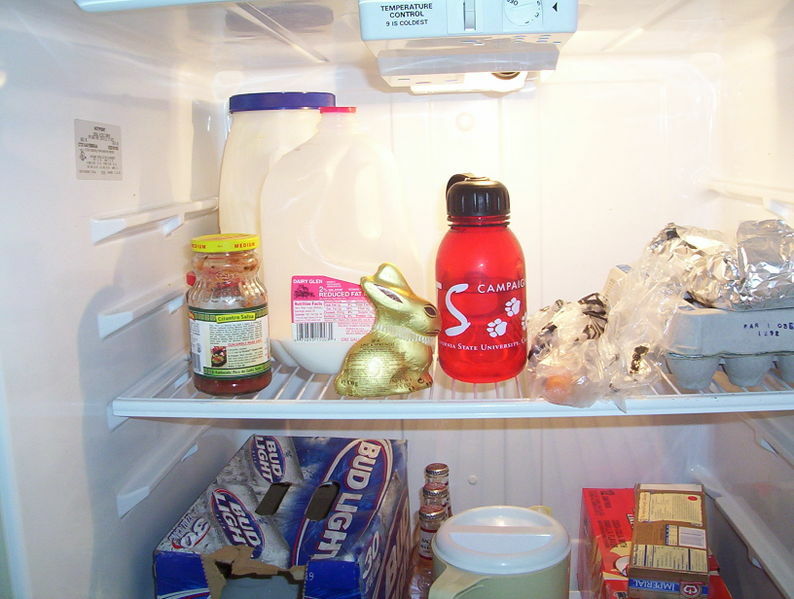 A well stocked fridge or freezer will allow less air in when the door is opened. This ensures that it does not take as long to resume normal temperature after the door is closed. If you do not have much in the freezer. Use sealed plastic containers filled with newspaper or cardboard to take up the extra air space. Some experts say at least ¾ full is ideal. Defrost freezers regularly – this will help ensure better efficiency. The condenser coils at the back of your fridge can become “insulated” by dirt and dust. Vacuuming carefully to remove this can return up to 25% of lost efficiency. Ensure the back of the fridge is not sealed off from circulating air. Again this is to ensure effective operation of the condenser coils. Two visitors to http://www.energyefficientireland.ie in the past month have searched "how many units of electricity should a fridge use in 24 hours." Some fridges have a very high efficiency rating some don't. Some have large food compartments some are small. The big thing here is that there is no simple answer to the question but energy consumption can be maximised by following the tips above.